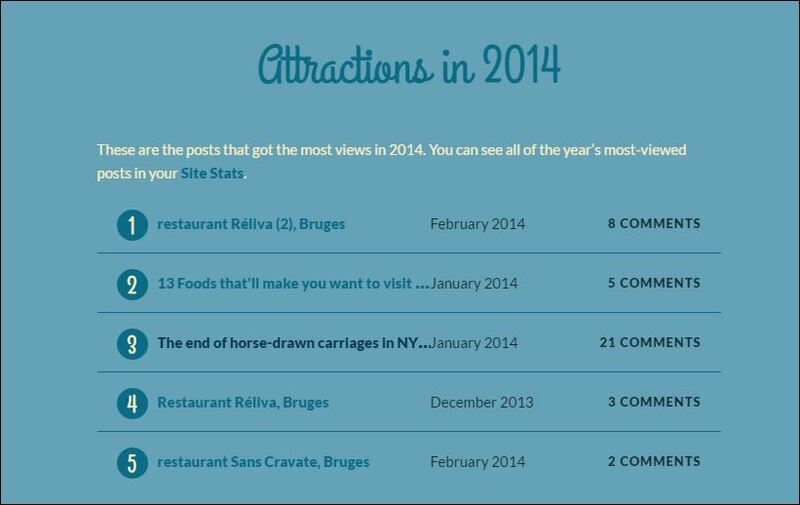 A year ago, between Christmas and New Year at the end of 2013 we started this blog The Bruges Vegan. Wow, already a year, it’s a cliché, but yes, time flies. Luckily our lists of restaurants where vegans are welcome in Bruges and around Bruges is still growing, and we are gradually adding new entries (suggestions are always welcome!). – We got to meet many other (vegan) bloggers, from all around the world! 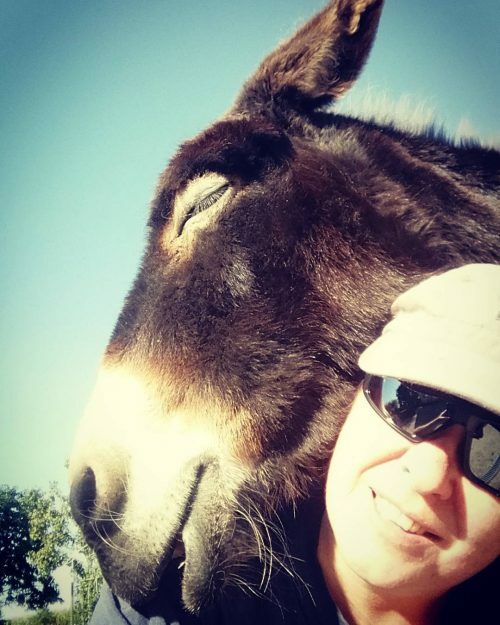 A great community, so much things to discover, so many recipes to try! I also found many lovely blogposts showing tourists’ impressions from their visit to Bruges. It’s nice to discover the city through the lens of visitors. We also get positive feedback from visitors through e-mails, telling us they found our blog usefull in planning their trip to Bruges/Belgium. And that’s preciesely one of the reasons why we started this blog, so very happy with that 🙂 Unfortunately we also got hate mail, instigated by our short, but apparently provoking blogpost about the horse-drawn carriages in Bruges (which we would rather see disappear!). 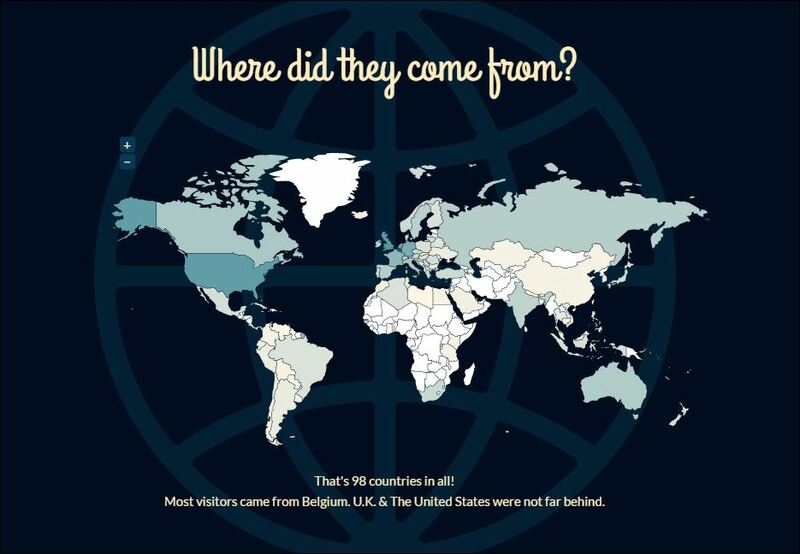 – Our blog attracted visitors from nearly 100 different countries! The most active day was November 16th 2014, when we published the blog about vegan shop SHAVT in Louvain (Leuven). – The Bruges Vegan also got around on the internet. We did a guestblog on Discovering Belgium and a travel guide for Bruges on Stay.com and. You can see an overview on this page: The Bruges Vegan in other media. – In 2014, I also got a vegan tattoo (well the other half of the Bruges Vegan did, the tattoo is not on both our arms, but we are both very happy with it ;-). See the blogpost here. As we do go out for dinner quite a lot, restaurant reviews will always be a large part of The Bruges Vegan. I also want to have more shops listed and reviewed on the blog, especially shops in Bruges where you can get vegan chocolates. I hope I can try out a lot of those 😉 I also plan on sharing more photos of our vegetable garden. I’m thinking of doing some theme inspired series of blogposts, but I’m still thinking of which theme to choose. Any which way, I do want to pay more attention to animal rights inspired matters, situated in or around Bruges. And – although it’s still a long way ahead – I definitely want to participate in the vegan MoFo in 2015 (vegan Month of Food). No shortage of inspiration! So I hope you will drop by again in 2015!